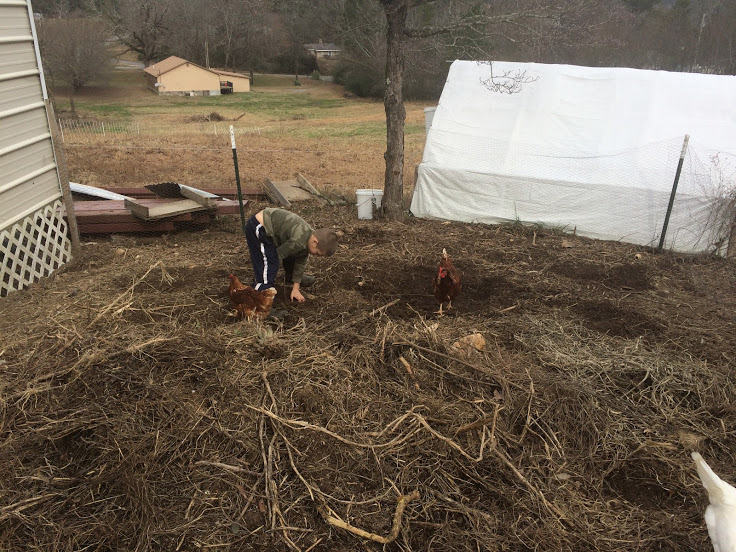 December was a slow month on the homestead. We’re definitely realizing that this lifestyle is very seasonal and there’s not much going on in December other than feeding the animals. So, December proved to be somewhat relaxing for us with no major projects or work outside. We just enjoyed resting and Christmastime. 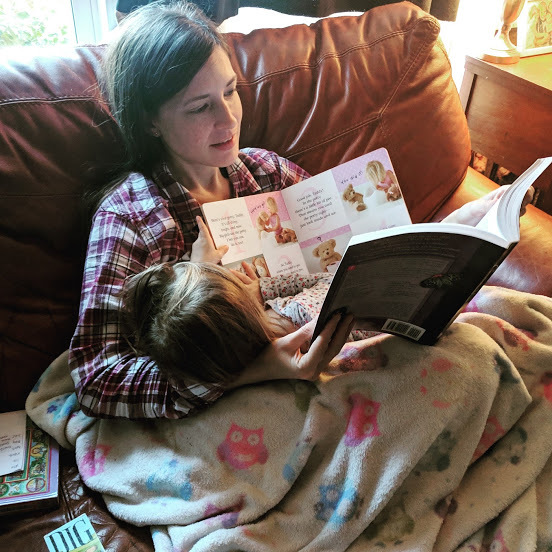 Early morning quiet time for mama and Laura this morning. I was reading and nursing her and she was reading her book while nursing. 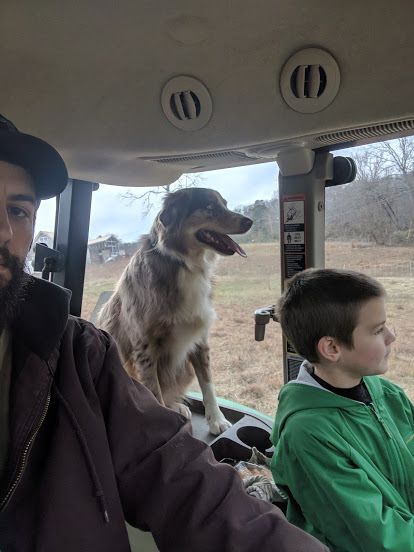 Weston and Copper joined Daddy for a tractor ride. 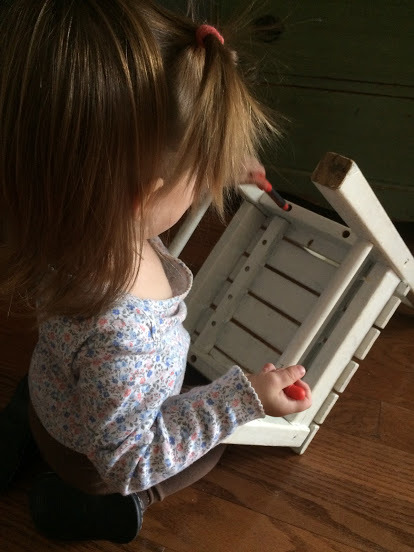 At 19 months old, this gal is in the busy, active toddler stage and is into everything. 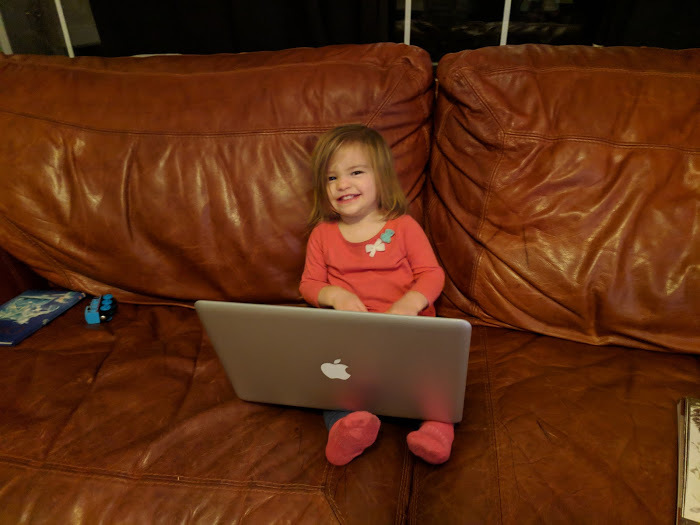 We found her sitting on the couch with my computer – apparently she’s ready to start writing blog posts for Arrow Hill Homestead. 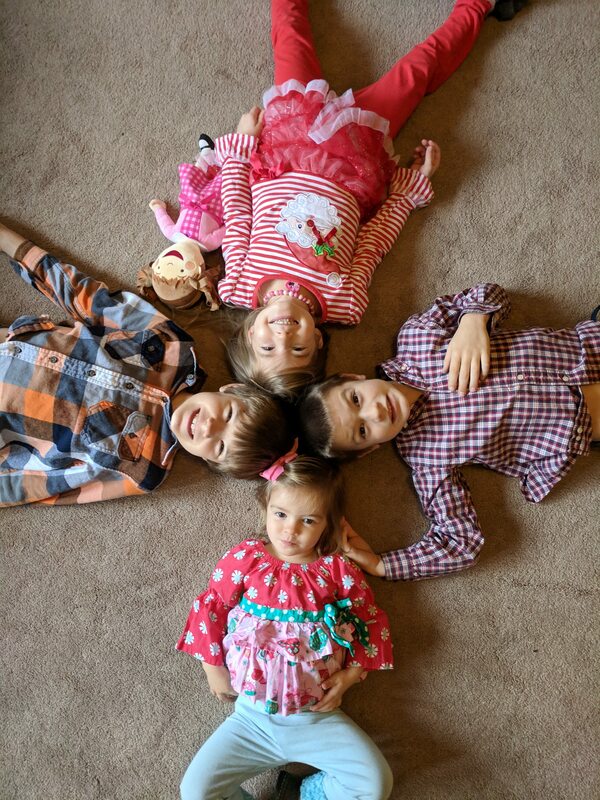 Our sweet little ones. It’s such fun watching their excitement at Christmastime. 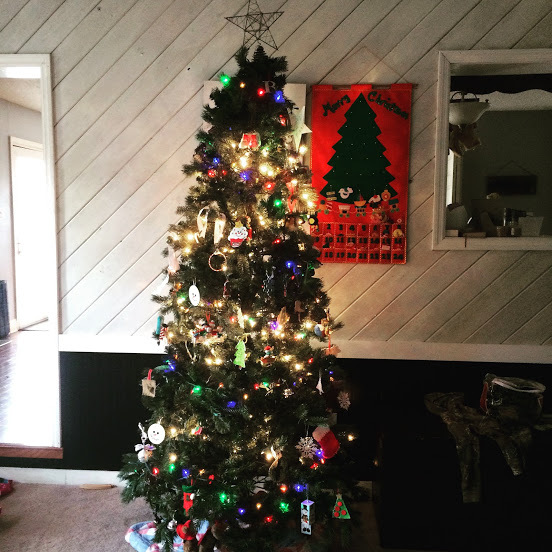 While we keep Christmas pretty simple as far as gifts go, they still enjoy the season and festivities so much. Frosty December mornings. We’re hoping for at least one snow this winter. Our Weston turned 7 on December 22!! 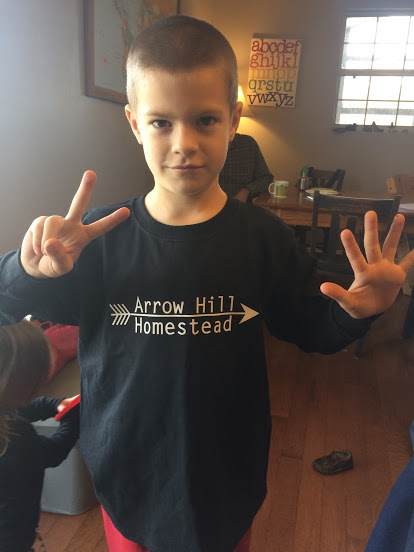 While I can’t believe he’s already 7, it has been such a joy watching this boy grow and especially watching him being able to farm and raise his own animals. 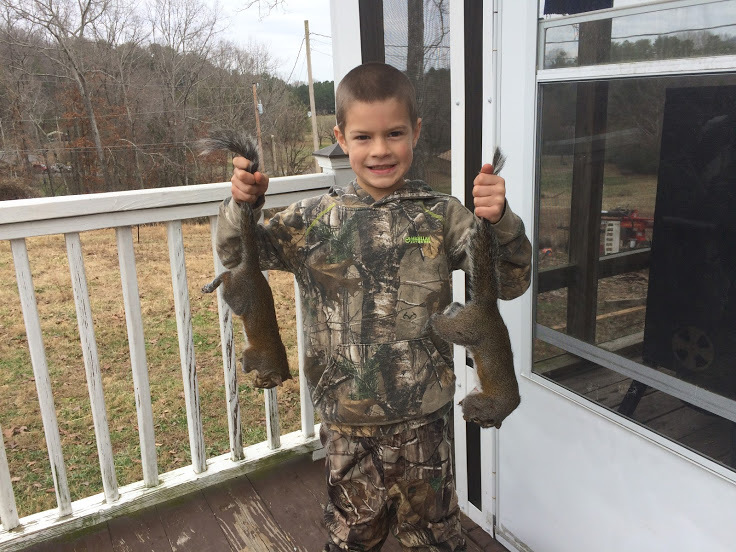 Weston and Daddy went hunting while daddy was off work after Christmas, he was successful and got 2 squirrels all by himself. John David added on to our woodshed a bit so we could store more wood. 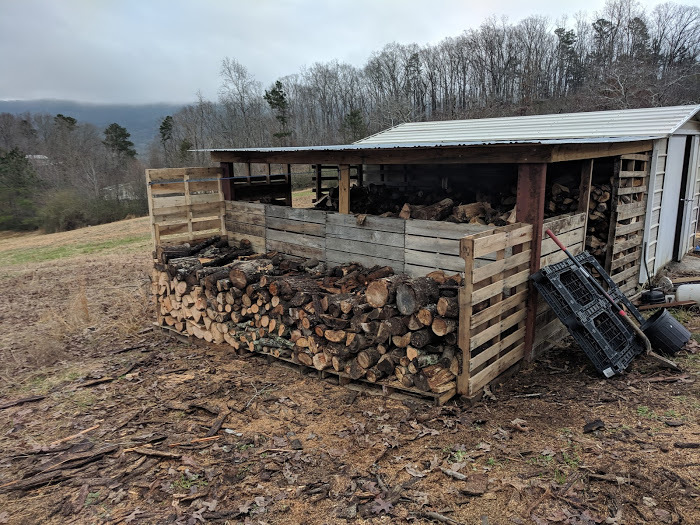 We were able to finish splitting and stacking all of the wood we had piled up so we’re now caught up on wood – until we get another load or cut a tree down! And, this is probably the funniest and tensest homestead moment of the entire year which happened on New Year’s Eve. 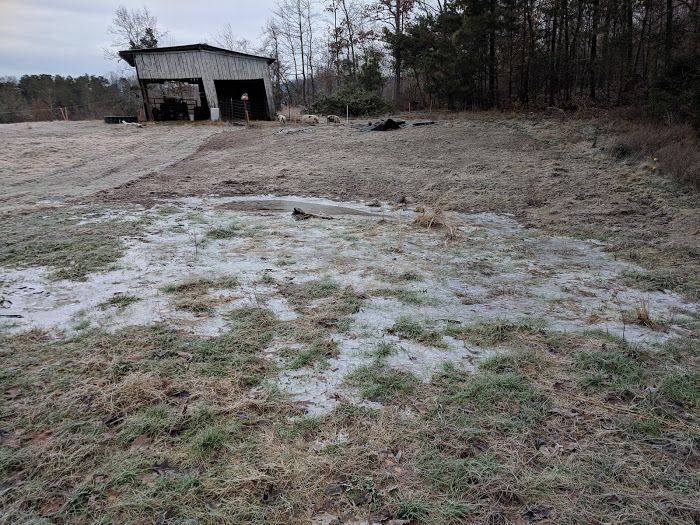 We have a low spot near our garden which has standing water whenever it rains and it just stays wet. 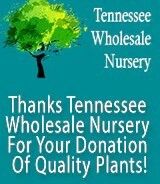 We had talked about creating a small pond in that area. This afternoon, John David decides to get started on that. 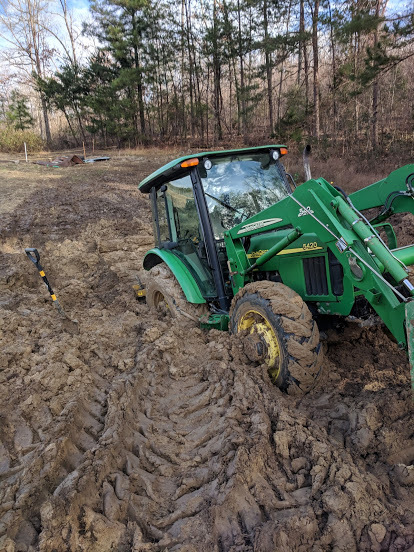 It was a little too wet and he had Laura in the tractor with him so he wasn’t completely focused on the task at hand and managed to get the tractor stuck in the mud. I walked out, saw that it was stuck, felt a bit hopeless and walked back inside and prayed that he could get it out easily. He called our neighbor who came over to help and he suggested backing the tractor out which worked. So, so thankful for good neighbors and unstuck tractors! It’s proven to be a good laugh and I’m thankful he took a picture of the moment. 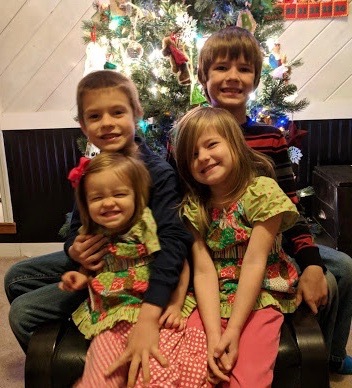 We’re looking forward to what 2019 holds, we’ve set several goals for our homestead (which I may share) and are excited about all we plan to accomplish in 2019.